The Oil-Free Moisture Combination Skin by Neutrogena keeps your dry parts nourished while your oily parts matte and shine-free. It has a fragrance-free and non-comedogenic formula. Great for aging or sensitive skin, the Q-10 Anti-Wrinkle Face Cream by Eucerin firms and tones the skin for a youthful radiance. It promises results in as early as 5 weeks. L’Oreal’s Age Perfect Hydra-Nutrition Golden Balm provides long-lasting hydration for stronger and more resilient skin. We also think it has the most expensive-looking packaging on this list. With 10 benefits in one tube, the CG Smoothers BB Cream by CoverGirl is a tinted moisturizer that gives a light, natural-looking coverage. It comes in 3 different shades and has SPF 21. Dermatologist tested, the Dry Skin Cream by Pond’s is loaded with humectants and occlusives to bring dry skin back to life. It won’t cause clogged pores and is gentle for sensitive skin, too. Recommended by dermatologists, this best drugstore moisturizer for combination skin offers the perfect balance between hydration and oil control. It is free of fragrances and won’t clog pores. Lightweight, this face cream has an oil-free and non-greasy formula so you won’t feel sticky or uneasy throughout the day. It is hypoallergenic, meaning it is gentle enough for sensitive skin. This best drugstore moisturizer for acne prone skin boasts of its oil-absorbing system. This keeps your T-zone (or other oily areas) shine-free and with a long-lasting matte finish. It is packaged in a plain white bottle with a pump-like nozzle which makes it very travel-friendly. But the packaging for us is just too simple we won’t even notice it in the beauty aisle. However, we still think this discreet packaging would suit other people and it’s what’s inside that really matters. The consistency of this facial moisturizer is thin so it is easy to spread. You may feel oily after applying this best drugstore moisturizer for oily skin but luckily it is easily absorbed by the skin. You literally only need one pump to cover your problem areas. This means a little goes a long way and for us, one bottle lasted for almost a year. This best drugstore moisturizer for sensitive skin has a fragrance and an alcohol-free formula so it won’t irritate the skin. It also has anti aging benefits and promises results within 5 weeks. It contains Beta-Carotene, Vitamin E, and Coenzyme Q10 that protect skin from free-radical damage. It is dermatologist recommended, too, and can be worn on its own or under makeup. Rich and creamy, this best drugstore moisturizer comes in a white pot container and has a white cap. It’ll take time before it’s fully absorbed which we hate since we don’t like that greasy feel. For best results, it is ideal to apply this facial moisturizer day and night. It really helps calm the skin and reduces redness and irritation, and we even noticed it helped with our hormonal acne. Once fully absorbed by the skin, this cream provides moisturization that can last the whole day. But aside from its anti-aging benefits, it surprised us it can help those with eczema, too. Toning and strengthening, this best drugstore anti aging moisturizer provides lasting hydration to make skin stronger and firmer. It promises to leave it look more elastic after the first use. One of the problems of aging skin is its ability to retain moisture and that’s where this product enters. It contains essential oils and Calcium to lock-in moisture and make skin look denser. 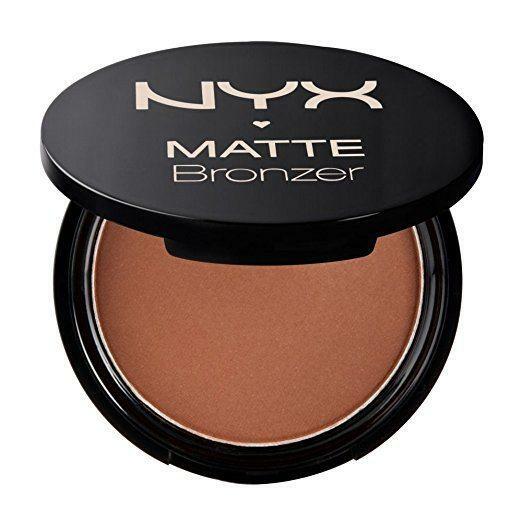 This best drugstore night moisturizer comes in a coffee-colored pot with a gold-colored cap. It has a very thick consistency and is slightly orange color with a florally and citrusy fragrance. However, its very thick consistency is what makes it difficult to apply and blend into the skin. It isn’t absorbed quickly by the skin, which again we hate as it leaves us sticky and uncomfortable. This is why we prefer to use this facial moisturizer only at night. It also works well for the neck and décolletage area where the skin is thinner and therefore shows the first signs of aging. Another concern is its use of colorants. Though it doesn’t really make the skin look orange, we think it’s completely unnecessary and may even increase the risk of irritation. With 10 skin-friendly benefits in 1, this best drugstore tinted moisturizer delivers hydration and improves the skin’s appearance while giving light coverage. It comes in 3 shades and has SPF. This lightweight tinted face moisturizer has a non-comedogenic formula so it’s great for people with oily or acne prone skin. It helps boost the skin’s elasticity so it helps with aging skin, too. Great for travel, this best drugstore moisturizer with spf comes in a white and blue squeezable tube with a blue cap. It has a smooth consistency that is easily blendable and is fragrance-free. It doesn’t accentuate dry patches and moisturizes well we didn’t feel the need to use a separate moisturizer. Its SPF is 21 so you may want to add more sunscreen depending on your activity. It does a great job hiding imperfections while still giving you a natural look that lasts all day. This tinted face cream also does not oxidize that much and doesn’t leave an oily residue behind. Dermatologist tested, this best drugstore moisturizer for dry skin is safe even for sensitive skin and has a non-comedogenic formula. It comes in a pretty white container with a sky blue cap. Its main ingredients are occlusives and humectants. Great for dry skin, these two help prevent moisture loss and keep skin hydrated for nourished, healthy skin you can see and feel. This best drugstore facial moisturizer has a thick consistency and has smell that is typical of the brand. It takes a while to be absorbed by the skin which we hate, so we’d rather use it at night. And since it came in such a huge bottle, we had to think of other ways to use it. We applied it on our hand and feet and the results were stunning! We normally suffered from dry, cracked hands and heels but after days of using this cream, they looked good as new. We only advise those with oily to combination skin stay to away from this product. Since it is too rich, this will make your face appear greasier and you’ll be left with a heavy, uncomfortable feel. Regardless of your skin type, we can all benefit from using moisturizers since they help lock-in moisture to make skin softer and suppler. And despite the contrary belief, those with oily skin need them as well. For more on this, check out our list of the best moisturizers for oily skin. But have you ever wondered what the other benefits are when you don’t skip this part? Check out this list and see that moisturizers are more than just for preventing dry skin. This one isn’t shocking. In fact, you don’t really need anti-aging products: as long as the skin is properly moisturized, wrinkles and fine lines become less noticeable. And if you already have wrinkles on your face, skipping moisturizer will only make them look worse. Having dry, dehydrated skin can make fine lines more prominent. When cold weather arises and dry air strips your face of its natural oils, your skin is more vulnerable and becomes an easy target for irritants. This ultimately leads to flaking and redness. And since most effective skincare products can be drying, you are more likely to have peeling skin if you don’t moisturize afterwards. This can lead you to stop using these products instead and deal with the side effects rather than experience its benefits. A common misconception is like oily skin, acne prone skin doesn’t need moisturizers. The truth is, dry skin can actually worsen acne so perhaps it’s time to make them your new BFF. Opt for a non-comedogenic, fragrance-free, and oil-free moisturizer to avoid looking and feeling greasy. You can check out these best moisturizers for acne prone skin if you’re still undecided. Fine lines will only look worse if you don’t moisturize before wearing makeup. It’s best to wait at least five minutes prior to foundation so your moisturizer can be fully absorbed by the skin. Moisturizing facial skin is a must for all skin types. Aside from keeping skin moist and hydrated, it can help prevent the “bad things” mentioned above from happening. But we all know money doesn’t come that easy. So, how do we know which product offers the right balance between price and effectiveness? We’ve chosen the Oil-Free Moisture Combination Skin by Neutrogena as the best drugstore face moisturizer. It is hypoallergenic and best of all, tested by dermatologists. This best drugstore moisturizer for combination skin provides the correct balance of moisturizing dry skin and keeping oily skin shine-free. It is fragrance-free so it’s ideal for sensitive skin, too. It also comes in a pump bottle making it very hygienic as well as giving you more control of how much product to dispense.